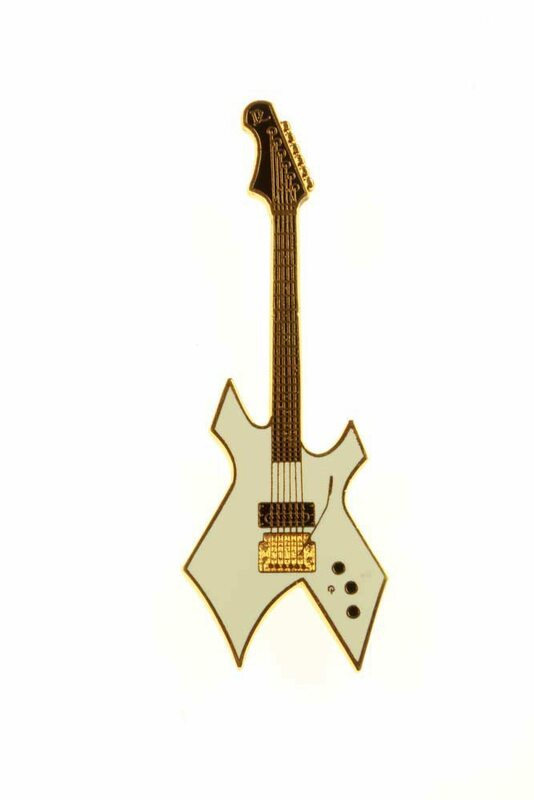 BC Rich Warlock 1970’s rocker guitar with radical contouring and “hot-rod” circuitry, a luxury guitar of its day. Red and gold. Replica is cloisonne-enameled on bronze base metal and finished in 24k gold electroplate.